Had both innovative ideas and beliefs that reflected common biases and prejudices of his day, such as racial stereotypes. "Behavior and Experiment in Social Psychology." Journal of Abnormal Psychology, 14, (1919): 297-306. "The Influence of the Group Upon Association and Thought." Journal of Experimental Psychology, 3, 1920: 159-182. "The Group Fallacy in Relation to Culture," Journal of Abnormal and Social Psychology,19 (1924) : 185-191. Biases in physical object perception can lead to errors (e.g., optical illusions}. Biases in social perception likewise lead to errors (e.g., underestimating the role social factors and overestimating the effect of personality and attitudes on behavior). Argued that the order people put on their perceptions followed the rule of psychological balance. positive and negative sentiments need to be represented in ways that minimize ambivalence and maximize a simple, straightforward affective representation of the person. Existing groups don’t let others join for free: the cost is sometimes monetary, sometimes intellectual, sometimes physical—but usually there is an initiation rite, even if it’s well disguised. Aronson and Mills (1959) tested the effect of initiation rites by making one group of women read passages from sexually explicit novels. Afterwards they rated the group they had joined much more positively than those who hadn’t had to undergo the humiliating initiation. So, not only do groups want to test you, but they want you to value your membership. Heider, Fritz. (1946). Attitudes and cognitive organization. Journal of Psychology, 21, 107-112. 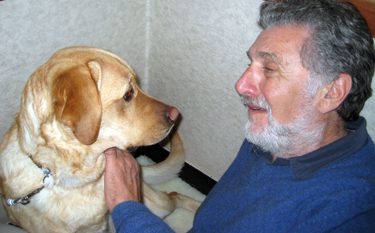 Interaction has a role in the formation of meanings for individuals. Three core principles: (meaning, language and thought) lead to conclusions about the creation of a person’s self and socialization into a larger community (Griffin, 1997). The inspiration for this theory came from John Dewey, who believed that human beings are best understood in a practical, interactive relation to their environment. Showed that social pressure can make a person say something that is obviously incorrect. Laboratory studies showed that under certain circumstances, a large percentage of people will conform to a majority position even when the position is clearly incorrect. seminal studies on the primacy effect and halo effect, and helped inspire Stanley Milgram’s research on obedience to authority. One (naive) subject remained unaware of study’s purpose while other participants collaborated with the researcher. Subjects were asked to compare three line segments and say which one matched a standard. The collaborators in the group deliberately gave false answers [unanimously] on some trials in front of the subject. Result: In many cases, the naive subject gave an obviously wrong answer that matched the response of the other subjects, even though it contradicted the subject’s own initial judgment. Conclusions: Conformity increases proportional to the number of people who agree. Boys were divided into two competing groups to observe how hostility and aggression would emerge through competition over limited resources. Later, the groups were remixed and identity and loyalty changed. Inclusve group identification occurred when boys banded together against the “authorities.” Findings indicated that group cohesion and identification can be situational. Sherif, Muzafer, Harvey, O. J., White, B. Jack, Hood, William R., & Sherif, Carolyn W. (1954/1961). Intergroup conflict and cooperation: The Robbers Cave experiment. Sherif, M. (1954). Experiments in group conflict. Scientific American, 195, 54-58. Ware, Susan (2004). Notable American women: a biographical dictionary completing the twentieth century. President and Fellows of Harvard College. pp. 587–589. Fine, Michelle (2002). "Carolyn Sherif Award Address: The Presence of an Absence." Psychology of Women Quarterly, 26 (1), 9-24. According to Festinger’s Cognitive Dissonance theory, people seek to avoid discrepancies between their attitudes and their actions, because they produce unpleasant feelings such as guilt, discomfort or confusion. In the attempt to reduce dissonance and to achieve cognitive consistency, people will seek to change either their attitudes or behavior in order to conform, often without reflecting their actual feelings. Often changing an attitude is easier than changing a behavior and the individual rationalizes the newly acquired view by discounting the earlier view. When Prophecy Fails. Festinger, L. (1957). A theory of cognitive dissonance. Stanford, CA: Stanford University Press. Festinger, Leon & Carlsmith, James M. (1959). Cognitive consequences of forced compliance. Journal of Abnormal and Social Psychology, 58, 203-210. Boys who were strangers to each other were given only the slightest hint that they were being split into two groups. Even without knowing or seeing who else was in their group they favored members of their own group over the others. Group behavior, then, can arise from almost nothing. Tajfel, H. & Turner, J. C. (1986). The social identity theory of intergroup behavior. In S. Worchel & W. G. Austin (Eds. ), Psychology of intergroup relations. Chicago, IL: Nelson-Hall. 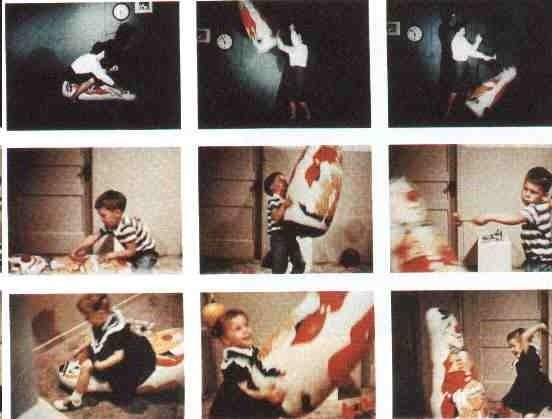 Bandura's Bobo doll experiment demonstrated how aggression is learned by imitation. This was one of the first studies in a long line of research showing how exposure to media violence leads to aggressive behavior in the observers. Bandura, A., Ross, D. & Ross, S. A. (1961). Transmission of aggression through imitation of aggressive models. Journal of Abnormal and Social Psychology, 63, 575-582. Kenneth Clark and his wife Mamie conducted research suggesting that Black children preferred to play with White dolls, a result that the U.S. Supreme Court later cited as evidence that segregation "generates a feeling of inferiority... that may affect the childrens' hearts and minds." He was also the first African American to be elected President of the American Psychological Association. In 2006 filmmaker Kiri Davis recreated the doll study and documented it in a film entitled A Girl Like Me. Despite the many changes in some parts of society, Davis found the same results as did the Drs. Clark in their study of the late 1930s and early 1940s. Godfather of modern social psychology. 1963: Milgram’s classic Behavioral Study of Obedience. The collaborator pretends to be a learner, and is taken into a room and hooked up to electrodes. The teacher is set up at a machine that he/she is [falsely] told generates shocks, voltage labels ranging from low to “danger - severe shock”. The teacher is instructed to deliver a shock each time the “learner” makes a mistake and to increase the voltage each time. Although the teachers felt distressed by the apparent suffering of the learner, most of them continued to raise the intensity of electrical shock until the “danger” level, at the urging of the experimenters. When surveyed prior to the experiment, most teachers said they would stop at the first indication of pain. They were surprised by their own behavior. Milgram, Stanley (1963). "Behavioral Study of Obedience".Journal of Abnormal and Social Psychology 67 (4): 371–8. An example of how social environments can alter the behavior of “normal” citizens can be seen in the classic 1977 experiment conducted by Stanford University psychologist Philip Zimbardo. The experimenter randomly divided participating students into “prisoners” and “gatekeepers” and instructed them to play their roles accordingly. What transpired in a few days frightened the students and Zimbardo himself. Most “gatekeepers” started treating their fellow students, who played the role of prisoners, with sadistic cruelty. And most of the “prisoners” showed signs of learned helplessness or responded with defiance. The results of this experiment and subsequent research demonstrate that people who are not ordinarily cruel can be influenced to act in sadistic ways, through a simple change of social role and position. Research Professor of Social Psychology: UC Santa Cruz. Taught: Universities of North Carolina, Harvard, Amsterdam. Senior Fellow: Research Institute for the Comparative Study of Race and Ethnicity at Stanford University. Forefront of research on racial prejudice for a half-century. Expert on black-white relations in U.S. Conducted intergroup research in Australia, Europe, and South Africa. How knowledge is reformulated as groups take hold of it, distorting it from its original form. The effects of minority influence, where the opinions of a small group influence those of a larger one. Demonstrated that consistency was the key factor in minority influence, by instructing the stooges to be inconsistent. The effect fell off sharply. Theory of social representations is used to understand process of cultural Chinese whispers, also known as telephone, grapevine, broken telephone, whisper down the lane. Moscovici, S., Mugny, G. & PEREZ, JA 1985. Perverse denial (by the majority) views of a minority of Psychology Bulletin , 38, 18, ​​803-812. Moscovici, S. 1991. Influenza cognizione e comunicazione, Ricerche di Psicologia , 15 (4), 25-38. Moscovici, S., Perez, J. & G. Mugny. 1991. Effects of resistance to an expert source or minority attitude change, Swiss Journal of Psychology , 50 (4), 260-267. Moscovici, S. PERSONNAZ & B. 1991. Studies in social influence: VI. Is Lenin orange or red? Imagery and social influence, European Journal of Social Psychology , 21 (2), 101-118. Moscovici, S. 1992. Experiment and Experience, Journal for the Theory of Social Behaviour , 3, 253-268. Influential social psychology textbooks. 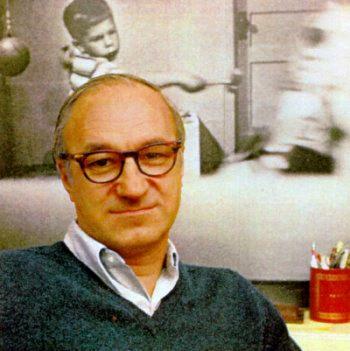 In his (1972) The Social Animal, (now in its 11th edition), he stated Aronson's First Law: "People who do crazy things are not necessarily crazy" thus asserting the importance of situational factors in bizarre behavior. He is the only person in the history of the American Psychological Association to have won all three of its major awards: for writing, for teaching, and for research. In 2007 he received the William James Award for Lifetime Achievement from the Association for Psychological Science. He officially retired in 1994, but has continued to teach and write.